Kuwait-based Jazeera Airways has reported an operating revenue of KD63.7 million ($209 million) during the first the months (9M) of the year, marking a 38.4 per cent growth year-on-year (y-o-y), and welcomed 1.5 million passengers, a rise of 44.5 per cent y-o-y. The company’s net profit stood at KD8.5 million for the first nine months of 2018, down 11.2 per cent from the same period of 2017. The airline reported a 76.8 per cent increase in load factor, up from 75.5 per cent 9M 2017. For the third quarter (Q3) of the year, operating revenue was KD29.2 million, up 31.7 per cent from Q3 2017, while net profit was KD7.0 million, down 14.1 per cent from Q3 2017. 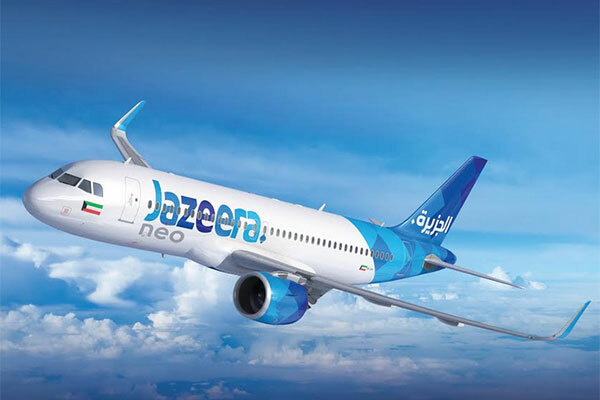 Jazeera Airways chairman Marwan Boodai said: “Operationally, fuel prices continued to increase in Q32018, rising by 35 per cent from Q3 2017, and the competitive landscape remained strong. However, despite these challenges, our investments in expanding our offering and network continued to yield positive results. The airline operated in Q3 2018 its first full quarter from its new dedicated terminal, which carried 795,218 passengers since its inauguration. The Duty Free received final permits and started operations in October 2018. The airline also launched the Ride & Fly service enabling passengers to take a shuttle from various locations in Kuwait, register their luggage and check-in on-board the shuttle. On routes serving its new destinations, Jazeera Airways grabbed a 50 per cent market share on Kuwait-Tbilisi, 41 per cent on Kuwait-Lahore, 51 per cent on Kuwait-Ahmedabad, 19 per cent on Kuwait-Mumbai, 32 per cent on Kuwait-Kochi and 8.2 per cent on Kuwait-Madinah.